I have researched food forums Facebook groups and food blogs for the best reasonably priced blender on the market. 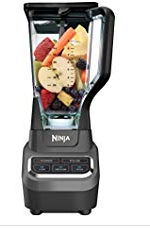 The most popular blenders sold on Amazon, Bed Bath and Beyond, and Target are the Ninja Professional, Blendtec and Vitamix. The last two blenders are the most expensive and are used in professional kitchens like Jamba Juice and Starbucks. 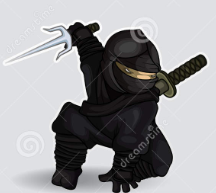 The most popular at-home version is the “Ninja Professional Blender”. 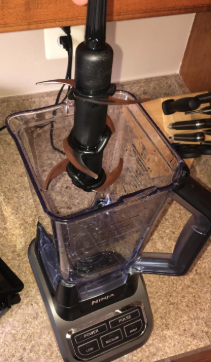 “Low Carb and Losing It” Facebook group love the versatility, durability of this low- priced blender. They can range from $60.00 to $70.00. The Professional Ninja Blender comes with three speeds and a pulse setting which makes this blender very easy to use. The 6 razor sharp blade assembly insures that the most fibrous vegetables and the hardest nuts will be pulverized in a matter of seconds. The razor sharp angled blades creates a vortex to ensure that all items will be perfectly blended hard nuts, celery, and kale. There won’t be any chunky or fibrous tasting residue in your smoothie. The Professional Ninja blender can blast ice into slush in a matter of seconds, which allows to make frozen treats, right in the blender. Imagine snow cones Italian ice sorbets made instantly!. The Ninja Professional Blender is easy to Clean. 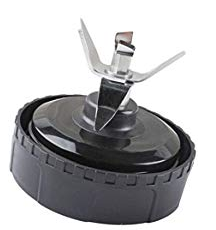 The six blade assembly can be easily removed for cleaning and the rubber gaskets ensure that nothing will leak out all over the counter while blending. The Ninja Professional Blender can do as much as the expensive blenders and more for 1/2 the price of the vitamix. All extreme dieters and fitness enthusiasts site the Ninja Professional Blender’s durability, price and ease of use as their reasons for purchasing this powerful blender. The blender’s total crushing technology will ensure that you’ll have the smoothest smoothies, and the finest purees for years to come. I hope the reviews of the blenders give you enough information to make the purchasing decision easier. I’ve tried to include the most popular blenders on the market but if you find a different blender that deserves a mention, please leave it in the comments section below. We would all benefit from your insight. Thomas The low carb food dude.